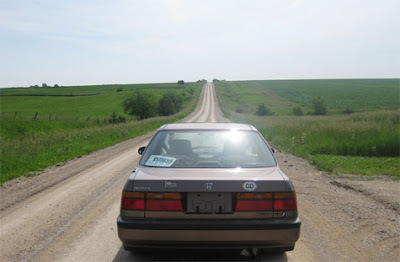 Behind The Ride on a dirt road in the middle of Iowa. 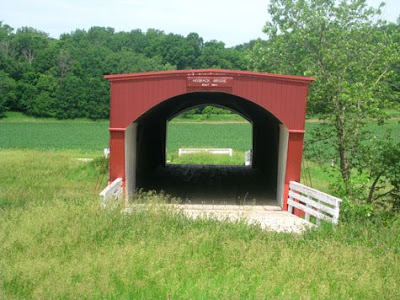 Hogback Covered Bridge, one of the actual bridges of Madison County, Iowa. 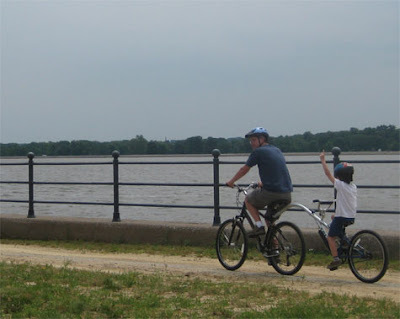 The boy and I riding along the Mississippi river. 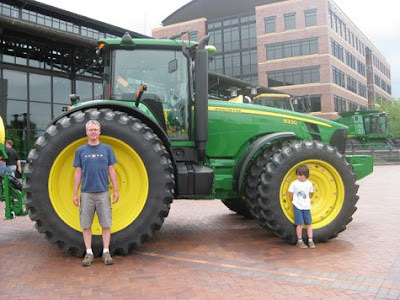 In front of a Very Large Tractor at the John Deere Pavilion in Moline, Illinois.